Public parking is available to the front of the crematoria. 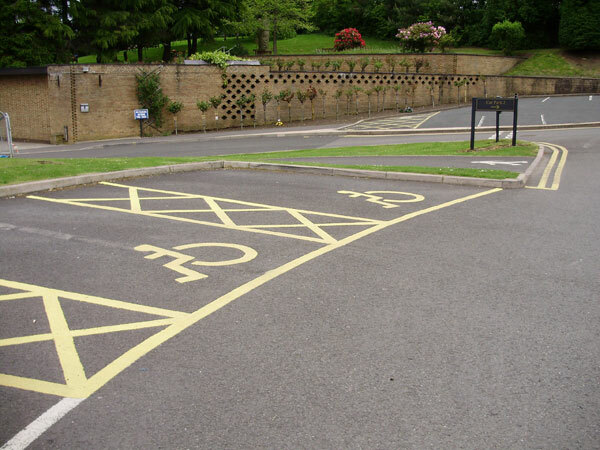 There are 2 designated Blue Badge parking bays with side transfer space located within 20 metres of the entrance. Gornal Wood Crematorium is situated off Coopers Bank Road near to the Himley Road (B4176). The nearest motorway connection is junction 2 of the M5, which is a 20 minute drive away. If you are visiting the crematorium and are using a Sat Nav, p[lease use the post code DY3 2PT. The Crematorium entrance is situated off Coopers Bank Road. There is a bus service from Dudley bus station. Search for bus routes on the Travel West Midlands Website. The nearest train station is Dudley Port, which is a 15 minute journey by taxi to the crematorium.